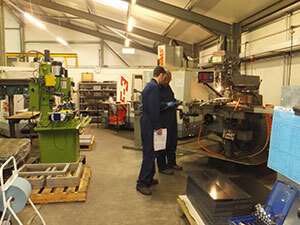 At DS Machining Services, we have a range of services including Hydraulic Ram and Cylinder repairs, Plant Refurbishment, Welding and Fabrication. Take a look below for an extended insight into what we can do for you and your business. If you have a problem with a Hydraulic Ram, be it only leaking or badly damaged, we have the know how and experience to fix it. We will strip and assess your ram and prepare a fixed price quotation for any work that is required as part of our hydraulic repair service. We hold a large stock of materials for repairing hydraulic rams and what we don't have is generally available the next day. We will do all we can to get your hydraulic system back to you as quickly as possible. All hydraulic ram repairs are tested prior to finishing and carry a 6 month workmanship and material failure guarantee. An area in which the company has got extensive experience is in the refurbishment and maintenance of industrial Plant and associated equipment. We have on our customer list some of the biggest plant operating companies and high volume production line factories in the area. 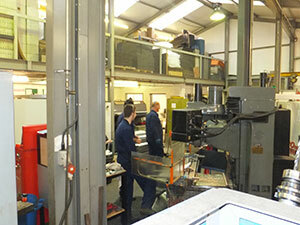 They rely on us to make parts for spares or repair broken parts which are causing downtime. 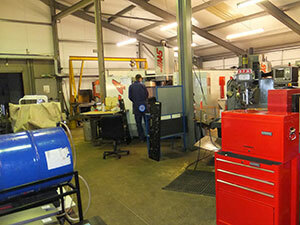 All work is undertaken in our dedicated fabrication shop by our experienced personnel.